The project is a design competition entry. 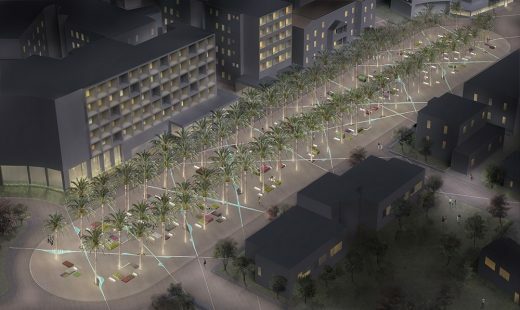 The architecture competition called for redesigning the“100 Palm Trees Square” in the northern part of the city of Rhodes. The square was originally designed between the years 1936-1941 and is surrounded by hotels and a museum. 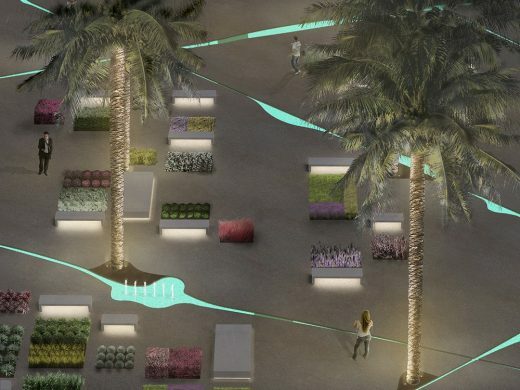 The presented entry design, besides addressing functionality and sustainability, intended to amplify the square’s urban character and to shape a focal gathering and recreational point, connected to the city’s network of monuments and cultural spaces. 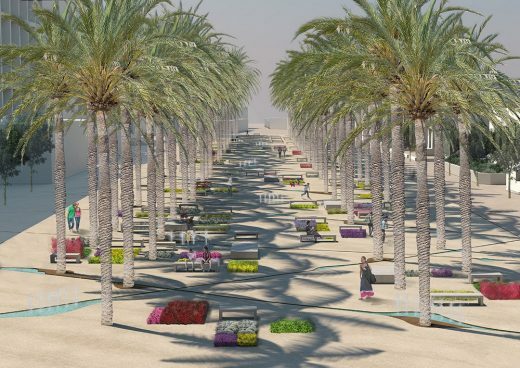 The perception of the city’s history and of the site’s layout, with the existing 100 palms being strong iconic elements in a broader context of images and references of the southeast Mediterranean, along with the vital ecological and humanitarian issues of the territory and the island, originated the concept. 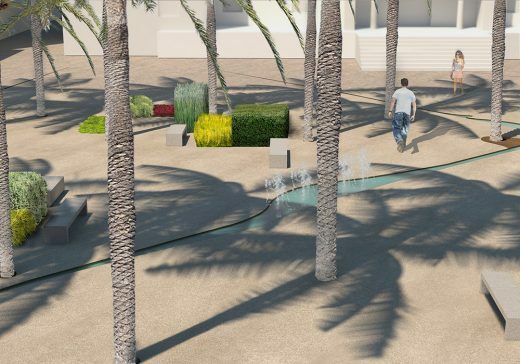 The square is transformed in a landscape of “arid land”, where cracks develop organically and tear the surface apart thus creating a network of narrow paths which stretch, elongate, widen and intersect. Water springs from fountains, runs slowly and fills the cracks. All around plants start to emerge. 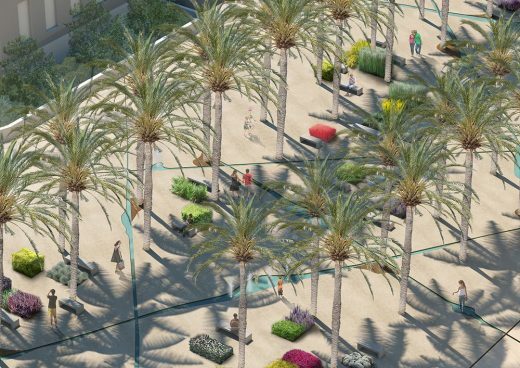 Like colorful pixels they sprawl near the water and remodel the square’s surface revealing “green incidents”. Flora colonies multiply and enlarge where waterways intersect and broaden, thus creating “oases”. 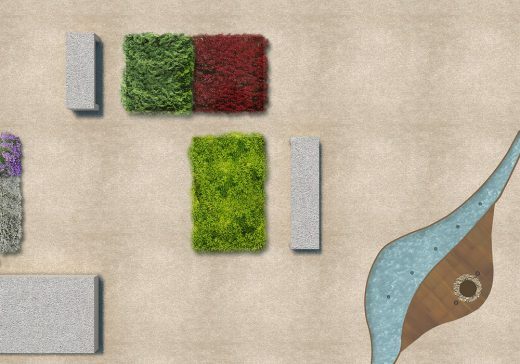 Plants are combined by color, shape and foliage type and are arranged in blocks of one to three species. The chromatic effect is defined by the colors of foliage and blossoms. The first one is desertification, a phenomenon that as a result of climate change, is rapidly expanding. The second aspect is waterways as carriers of change and hope. The location of Rhodes Island is at the crossroads of major sea routes. This fact is tied to the island’s history, molding its past, present and future. The planet’s waterways not only facilitate the transportation of goods but also act as pathways for migration flows that determine the destiny of large populations and the collective history of entire regions. At the time of the design process this phenomenon was unfolding with great intensity in the East Aegean Sea, including Rhodes Island. 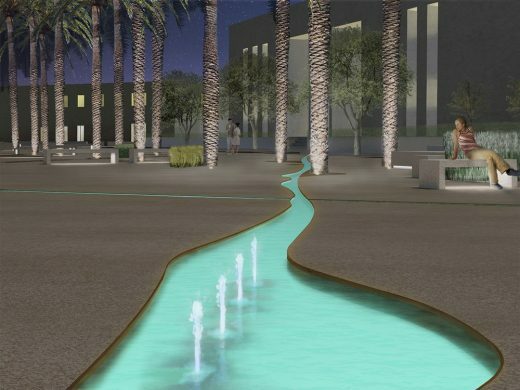 The general idea focuses on the element of water as the source of life and the means of progress and prosperity. It stimulates fun, elevates moods and provokes playfulness. 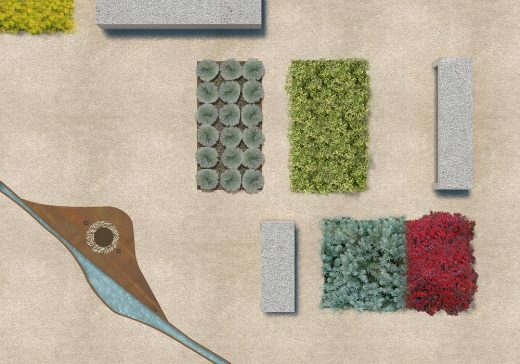 Colour is another component of the design that materialized through flora, brings about positivity and cheerfulness. 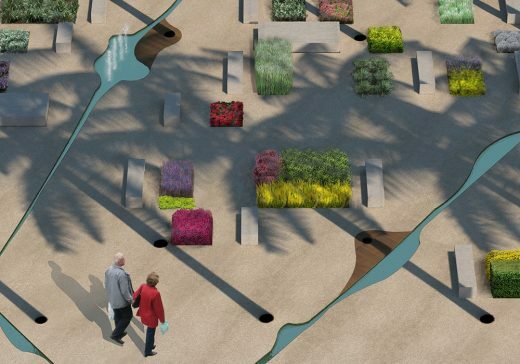 The project is designed with regard to the principles of sustainable urban development. Environmentally friendly, natural and absorbent materials which reduce storm water runoff are used for paving. The proposed traffic regulation minimizes the use of vehicles and promotes walking and cycling. 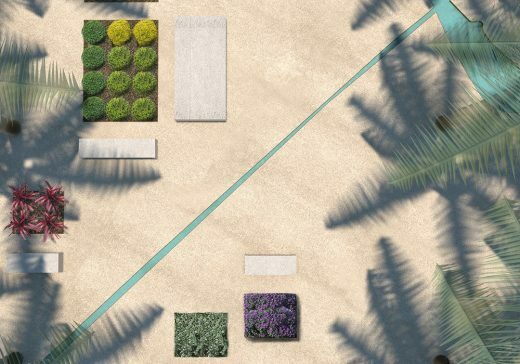 The site’s footprint is enhanced with plants indigenous to the island. 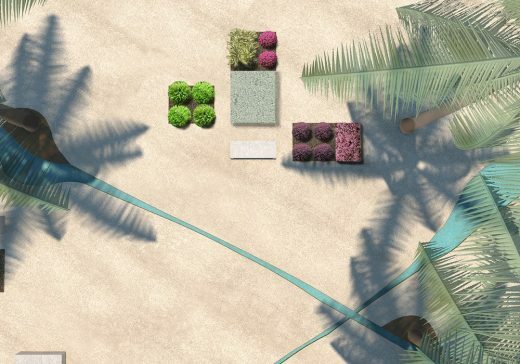 Project Architects: G. Veloudios, M.Halimi, C.Pierrakou, M. Kollia.